What should I get for 55 gallon native tank. 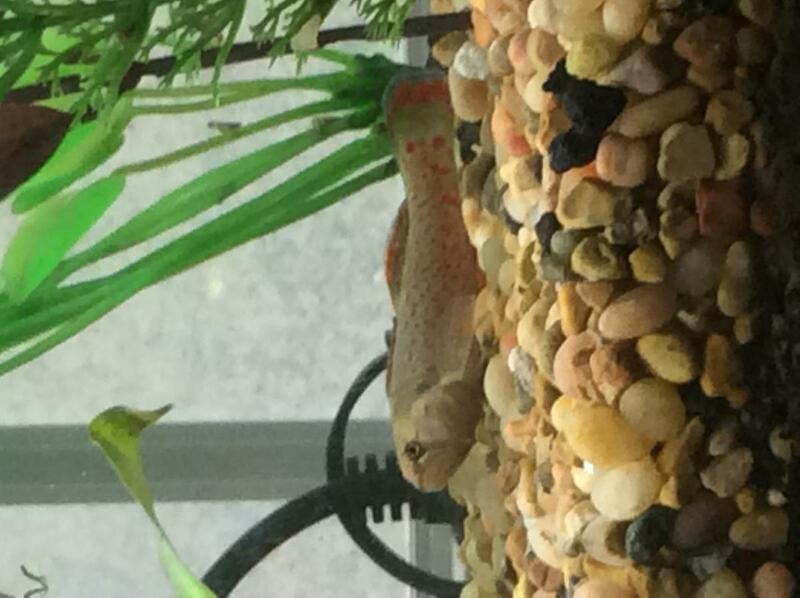 Hi i have a 55 gallon tank and I want to stock it with native fish. As of right now I have 4 darters in the tank but I dont know what species they are. I also have 1 crawdad. Thanks. Soon you will have a larger crayfish. Hes already pretty big probably 3 inches. Which is about as big as they get here. Edited by Gavin Chalmers, 15 September 2018 - 08:36 PM. Im trying to imply that it will eat your darters. I have had bad experiences with crayfish and strongly recommend against including them in aquaria. Hmm. My darters are pretty close to his size. Fish sleep. Crayfish have claws and wander around in the dark. Yeah. You don’t think a darter could out run a crawdad though. Yes, the darters are faster, but if the opportunity presents itself, the crayfish will gladly eat fish. You can decide if the risk is worth the reward. (Since you're new here, I'll let you know that I <3 darters). Oh, yeah I guess I’ll take the crawdad out when I get home. Any suggestions on what other fish I should add to the tank. And also how many darters would I be able to put in a 55 gallon without aggression. You broke my heart, Fraedo. You broke my heart. To contribute useful info to the post, I too have kept inverts and fish together. Those with claws usually win out if kept with small fish. If they are easily replaceable (which a Redline should NEVER be thought of as!) then keep your community as you wish. After all, that's part of the food chain in the creeks where you're catching the animals. Have fun with it. Post a picture of your tank if you'd like. I don't want to be that stick in the mud, but it's never a good idea to bring home fish you cannot properly identify. I have two of those darters, and I think the other two darters are Jonny darters or greenside darters but they dont have any green on them so I dont know. Can I mix any of these species together? Everglades pygmy sunfish, blackbanded sunfish, bluespotted sunfish, and dollar sunfish. I have kept Blackbandeds and Bluespots together just fine. Dollars have a reputation for being nasty to, well, everything. 1-community tank with local shiners & darters. 2-'community' tank with Lepomis species. I use the term lightly because you will be able to keep just a few in a 55-especially for some of the larger species. Dollars may not be the best bet. I tried to keep 5-6 in a 150 long ago with heavy tank decor and they still hammered each other. Now, loading that many into a smaller tank could possibly reduce some aggressive tendencies (think, African cichlids) but that's not very natural IMO. And that is what a lot of the native fish keepers are going for, right? So far, I have been lucky with my tank setup and the species I have in there. I have 15 darters, 4 of which are rainbows, 1 fantail and 10 banded darters, a western blacknosed dace, 2 stonerollers, what I think is a bullhead minnow, 2 green sunfish, a stonecat madtom catfish and 4 rusty crayfish. So far I have lost no darters to the craws, green sunnies or madtom, but I also keep feeder guppies or small rosies in there to keep the bigger fish fed and I feed a mix of blood worms and Mysis shrimp twice a day to keep the rest sated as well. I've gone through over 50 feeders in a week and it seems like it keeps them occupied and away from the darters. However, as the sunnies get bigger I will probably have to remove them from the tank. Right now they're 2" and 3" respectively and still relatively small. Lastly, keep good cover in your tank for the crays and darters. I have lots of larger river rocks and some branches placed in my tank to give them lots of holes to hide in and under and to try to resemble the river habitat. 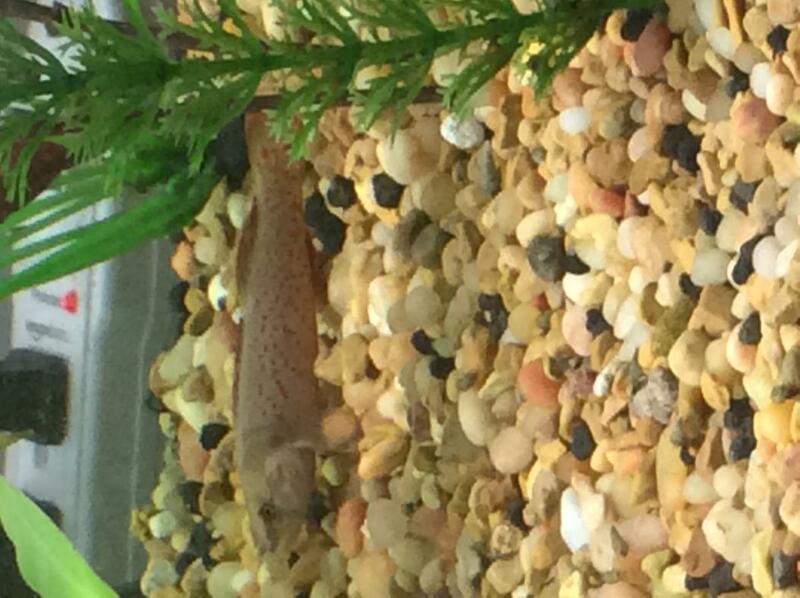 Right now, the most aggressive critter in the tank is my testosterone blasted western blacknose dace. He chases everything but the sunnies and the madtom. I am new and have had good luck with my darters and crawdads together so far. However I have a lot of large flat rocks and restricted spaces. Our crawdads are small. There are a lot I'd like to have, like sculpins, hogsuckers, madtoms, bluegill but darters are our favorites and get prime consideration... even with the crawdads. We keep everything well fed though. On the new tank setup I am creating a hidden division to keep the crawdads/crayfish separated. I am not good enough to identify the crayfish so they are just crawdads as far as I am concerned. They eat bloodworms readily, except the johnny darter. The crawdads love snails though. Good grief do they love snails. I'm going to start a native snail tank for fodder for future greensides but I'm not sure if I could raise enough to compensate for the crawdads. The kids love them though. We've had several moltings which are always exciting. Edited by rcb, 20 November 2018 - 08:52 AM.